Age spots are complexion killers that take the liberty to occur on anyone. 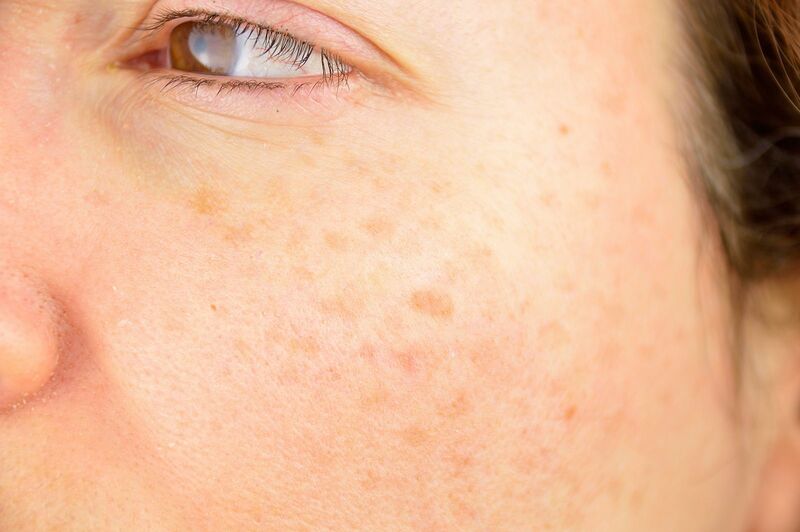 Age spots are tan colored flat spots that may be irregular in shape or well defined and are found in all parts of the skin that are exposed to the sunlight. Overexposure to UV rays – Melanin present in the skin is responsible for pigmentation and protects you from harmful UV rays. When there’s an overexposure to these UV rays, age spots appear. This is because melanin helps in protecting your skin against UV rays, thus when these cells notice that there is an excess exposure to UV rays, it tends to produce more melanin to help protect your skin. Genetic disposition – There is also a genetic factor that plays a role. If your parents had age spots, then there are high chances that you might have age spots as well. We’ve always stressed on the fact that prevention is always better than cure. Age spots are a common occurrence and are not necessarily harmful unless they change shape or form, that’s when you’ll have to visit your dermatologist. But if you are worried about your appearance than taking care of your skin, preventing age spots is something you’ll have to do. Being Outdoors – Try and avoid the sun from 10 a.m to 3 p.m, this is when the sun rays are the strongest and it better to avoid being outdoors at this time. Sun Screen – Always wear and carry sunscreen. This is something everyone should follow whether they have age spots or not. Make sure you protect your skin with the right sunscreen that contains a good amount of SPF (sun protection formula). UV Rays – Physically protect your skin from these harmful rays, cover your face and hands when outdoors, and make sure to keep skin exposure in control (3). There are two types of treatments; Non-invasive and Invasive. Non-invasive – These are treatments that don’t require an incision into the body or removal of tissues or anything else from the body. Chemical treatments – This is done with the help of an acid that is used on your skin which you can then peel off, and new skin will take its place. This needs to be done a couple of times before visible results are seen. Dr.Leena, one of the dermatologists at CureSkin says, “All treatments will have side effects but they are simple procedures and might cause burns or increase pigmentation only if the technique used is not right. Post-care is highly important in all these treatments ”. Intense pulsed light treatment – This is when laser technology is used to kill the melanin-producing cells (melanocytes), without destroying the skin. Botox – This is where they freeze the muscles to prevent wrinkling or creasing of any kind. Fillers – In this method certain chemicals are used to fill in or inject a particular chemical into the skin. Age spots are a very common problem. Though they are nothing to worry about, if they turn a different shade than normal, its better to get it checked with a dermatologist. That could be the starting sign of a malignant growth. However, most often, they are completely harmless. 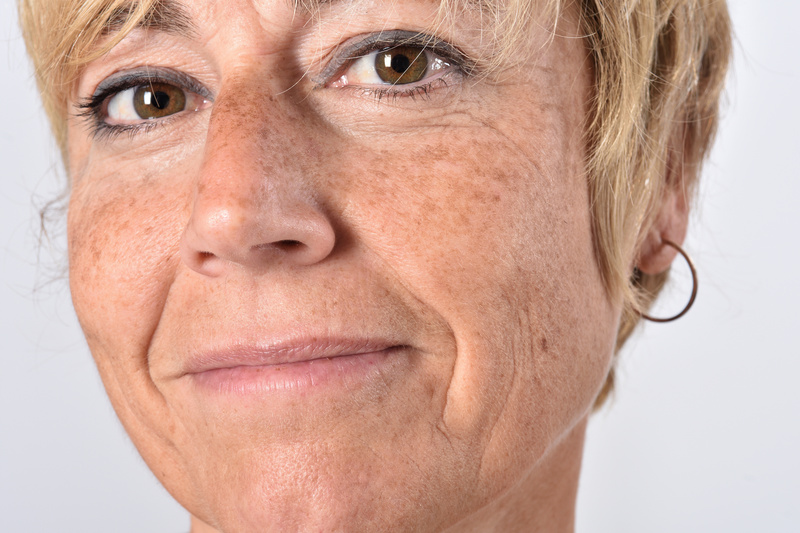 Age spots are one of the most common indications of aging. They are easily treatable and are nothing to worry about. One point to be remembered is to keep check on our mental health, because any kind of problem faced will take a toll on one’s psychological health. So remember to take good care of yourself, externally and internally. Having a hard time dealing with age spots? Download the CureSkin App now by clicking here to get the treatment you deserve! It’s easy, fast and affordable!